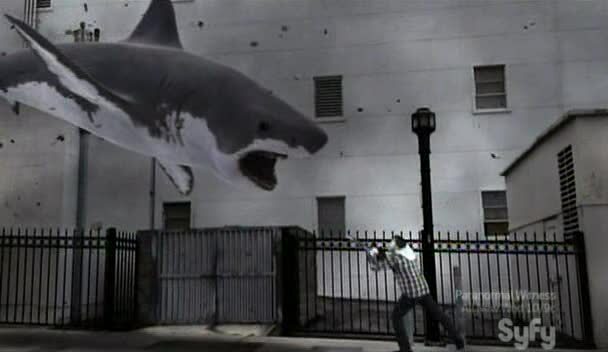 Sharknado – RiffTrax Live Trip Report! 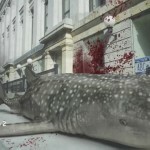 RiffTrax drove their silicone-sealed SUV through a river of sharks to get to the theaters for another RiffTrax Live event, covering that infamous SyFy spectacular, Sharknado! 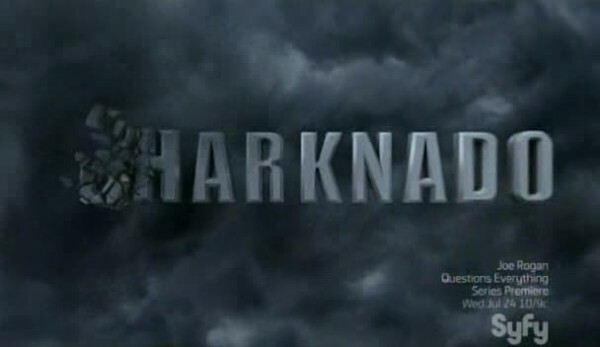 So of course TarsTarkas.NET is there, because wherever sharknadoes go, we will follow. 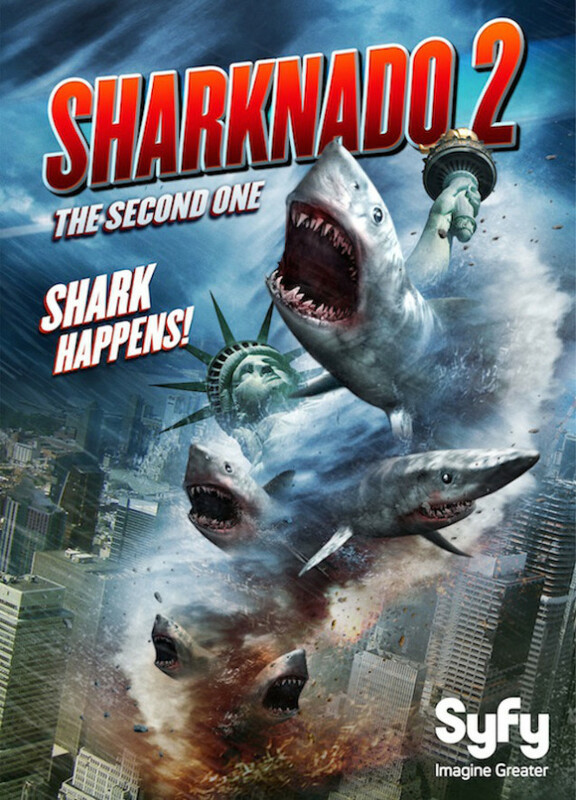 As you may recall, we were not 100% on board with Sharknado, as the fun doesn’t really start until the last third of the film. Sharknado works soooo much better with a live audience, especially when the sharknadoes finally show up and things become insane! I only wish I could see more SyFy features in theaters. 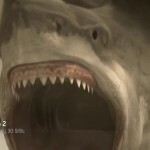 Ghost Shark, Bigfoot, Boa vs Python, there is enough that they could do one a year and never run out until the planet is overrun by those damn dirty apes! It’s not a RiffTrax Live without a barrel of shorts, so we got a returning favorite, the bizarre short A Case of Spring Fever, featuring Coily the Spring Sprite. 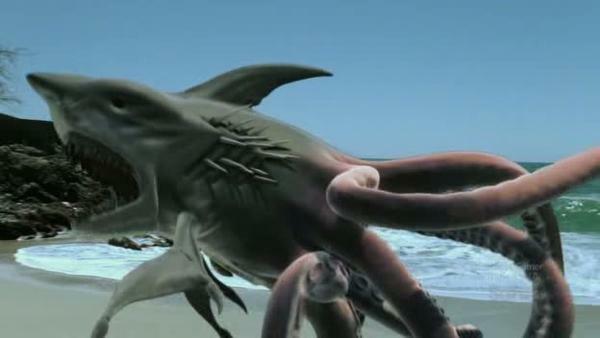 You might recall this short showing up on MST3K, specifically episode 1012 – Squirm. Well, now there is a whole new set of riffs for it, and you can recoil(ha!) in horror from the demonic spring entity and his blabbermouth human slave. It’s enough to make you want to kill all springs. After a brief preview of the Godzilla RiffTrax (including bonus technical glitches! 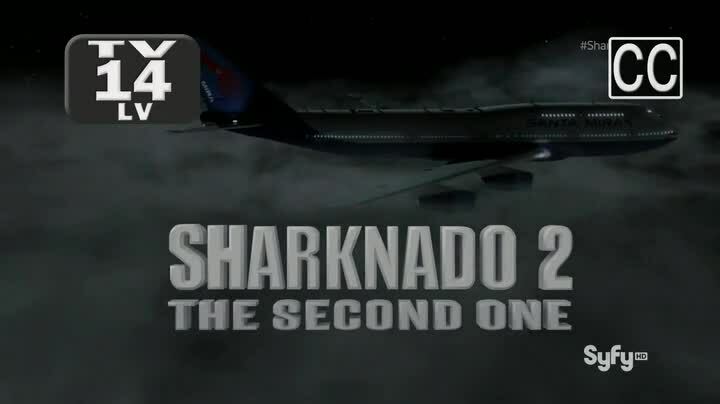 ), it was time for the main event – Sharknado! 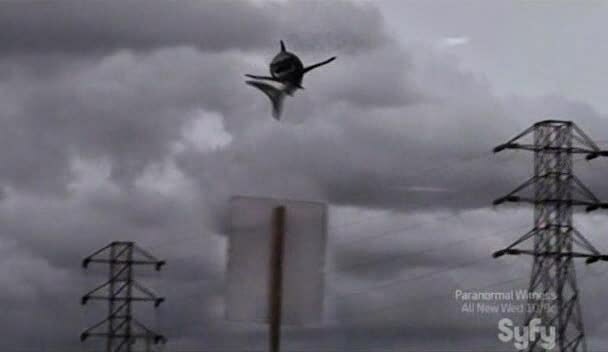 The 90210 jokes flew with the flurry of…a sharknado! 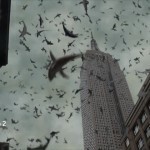 As Sharknado is a ridiculous film, complete with stock footage, editing gaffs, and fun low-budget cinema features like inconsistent weather, there was plenty to riff about. 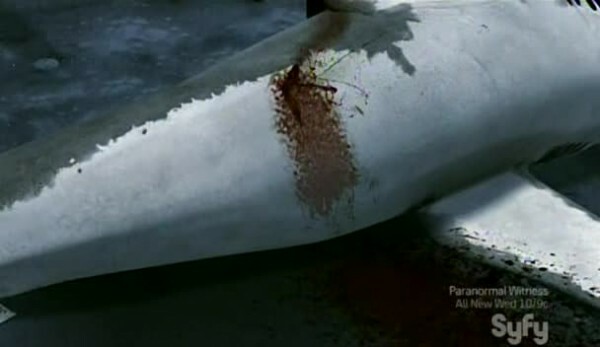 Tara Reid was a particular target thanks to her personal life painting a giant bullseye on herself. 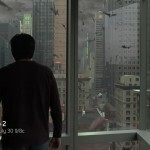 The CGI effects were another focus, the big screen making some of the dodgier effects stand out even more. The New Zealand guy lead to a slew of jokes done in a goofy accent that were hilarious as well. 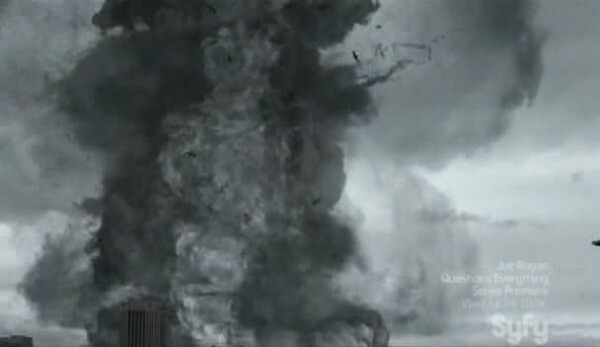 And we can’t forget all the slams against Transformers 4! 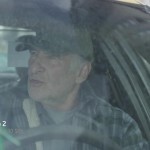 There were some fun callbacks, including for Norman and for More Dangerous than Dynamite. As mentioned, things really got going in the last third of the film, when the son appears and the effects and plot go to hyperspeed cornball. 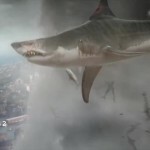 Flying a helicopter into sharknadoes to throw bombs at them to blow up the sharknadoes, while sharks rain down below and get shot from the sky or chainsawed into pieces. It is a fun time, and a riff filled time. 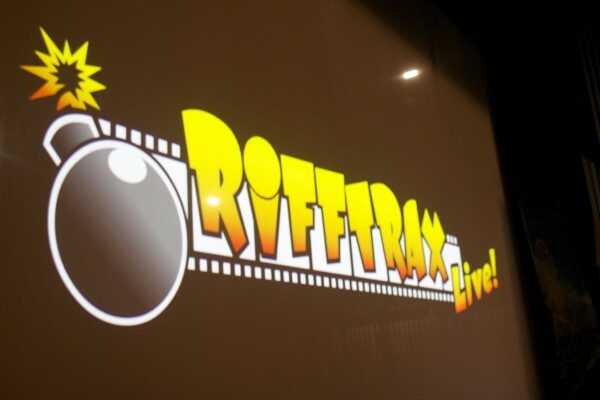 Overall, this is probably one of the best RiffTrax Live events, I’d rate it almost as good as Jack the Giant Killer and Manos. The only drawback was the slower start. Godzilla is up next, that will be awesome, followed by Anaconda and Santa and the Ice Cream Bunny. Cinematic horrors all, but with RiffTrax on our side, we can do anything! 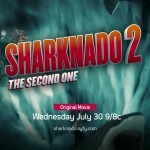 Sharknado 2: The Second One trailer! Because we all need full trailers! You’re either already sold or not going to bother, so only board the hype train if you are cool. Choo-choo!